Do you know where your people are in case of an emergency? 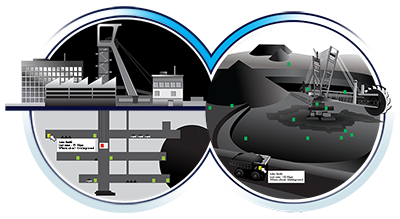 If there is any incident, Minelert immediately pinpoints the location of every single miner. Our Mine Safety Appliances not only saves lives, it helps to prevent the loss of production. 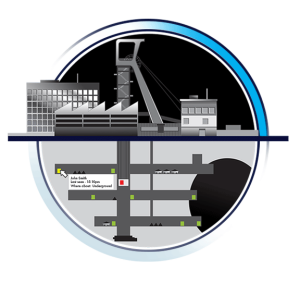 A perfectly functioning Lamp Room and Access Control system is crucial in preventing the loss of production by keeping track of the location of underground workers throughout various areas of the mine. Minelert is a set of software modules and hardware devices that manages the receipt, display, distribution, escalation and logging of critical data, alarms and messages. 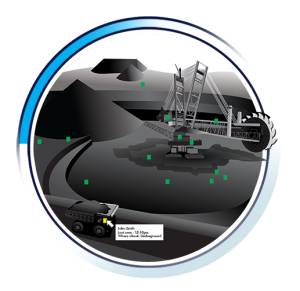 This complete mine optimization system makes lost person detection possible, as well as real time asset tracking and production management. Specifically engineered and developed for underground, surface and open pit mining operations. Provides “mission critical” and “life critical” safety solutions for the mining industry. Minelert protects people, enhances efficiency and increases operational productivity! Minelert is a set of software modules and hardware devices that manages the receipt, display, distribution, escalation and logging of critical data, alarms and messages. Minelert can, in essence, receive data, alarms and messages from any source and deliver that information in real-time, as a web report or as a text message to any required destination including mobile handsets. Minelert Vehicle Management Solution (VMS) is an integrated suite of software and hardware components that in real-time allows for monitoring and managing a mining operation’s primary production equipment and related product flow. Once the vehicle unit (VU) is installed on the vehicle, the unit will constantly monitor and log data in real time from a variety of sources on the vehicle including the strategically placed location tags for determining the position of the vehicle. Software manages the information upload from each vehicle unit to a centrally located Master Controller. The vehicle unit also acts as a data logger, in the event of a vehicle travelling to an area without network coverage, locally storing data. Once the vehicle returns to a coverage area, data is then uploaded to the master controller for display/reports on the Visualization application. Minelert was founded in 2005 to provide an Industrial Communications full service solution. Today Minelert is a leading Mission Critical communications service provider in rugged mining environments.